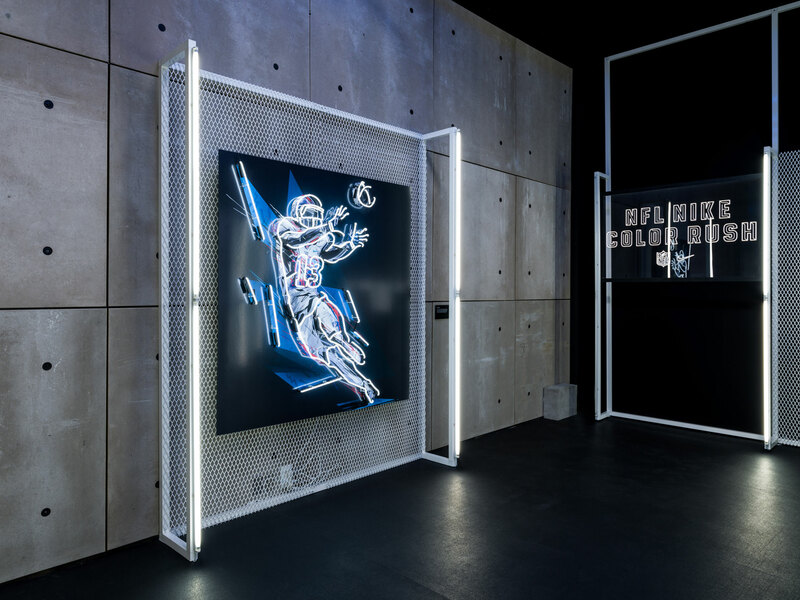 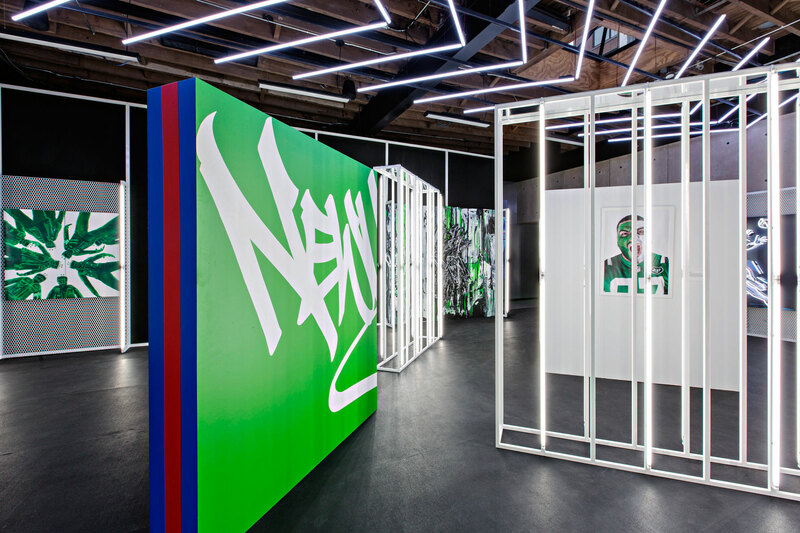 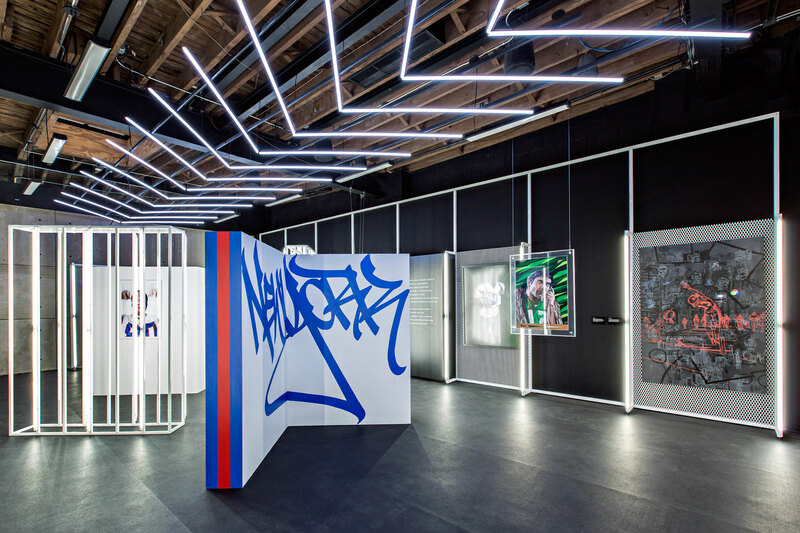 To celebrate the Thursday night Nike NFL colour rush, we designed and curated an immersive lighting exhibition at 45 Grand, for 10 artists commissioned by Nike. 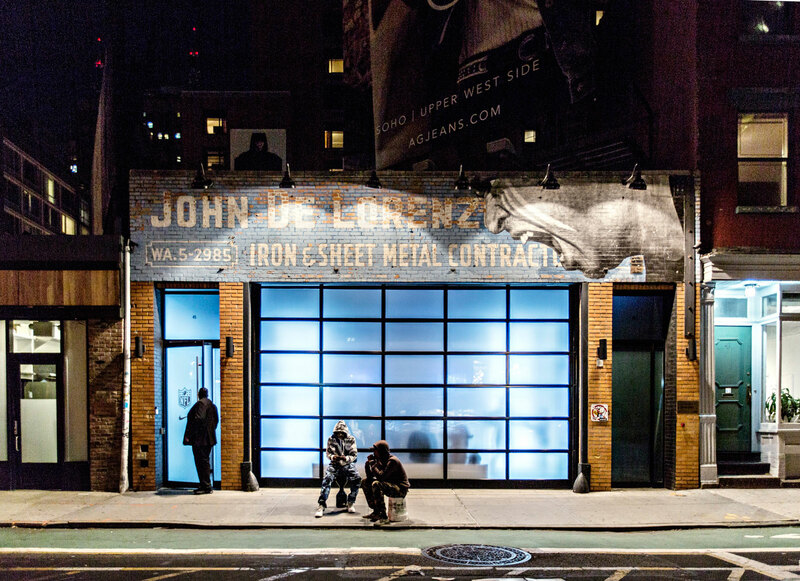 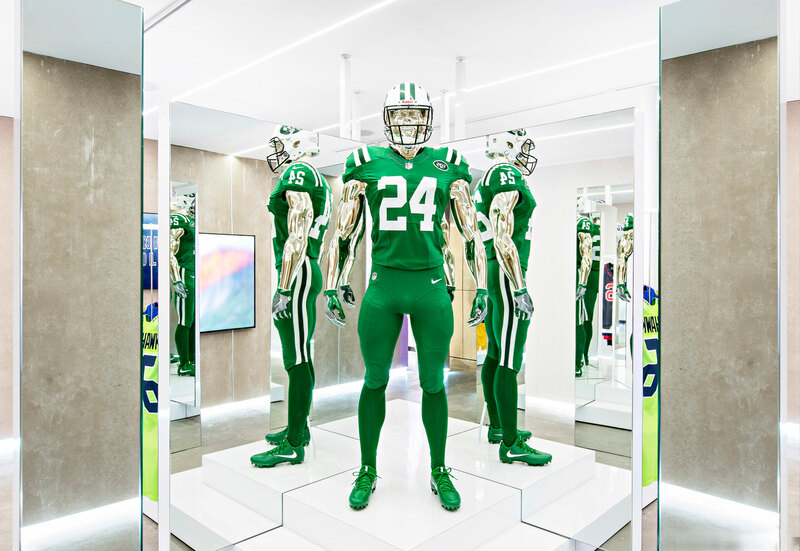 The artwork was based on the two home teams, New York Giants and New York Jets who were set to play the opening night. 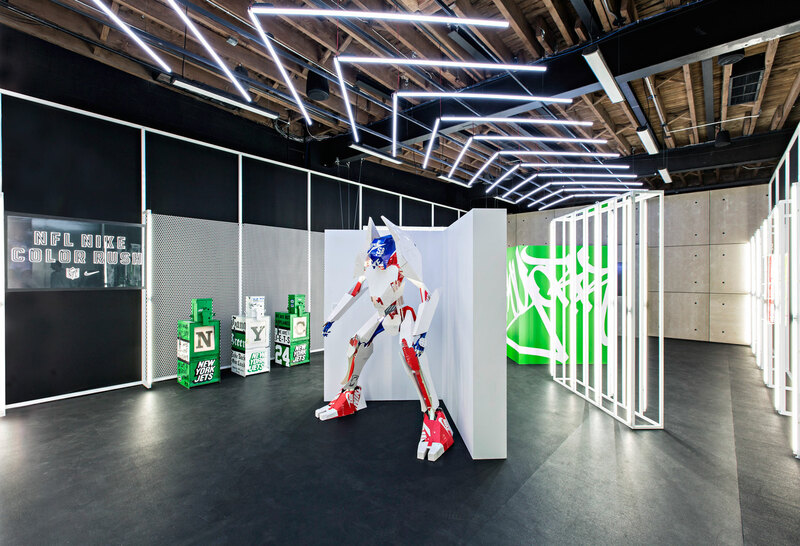 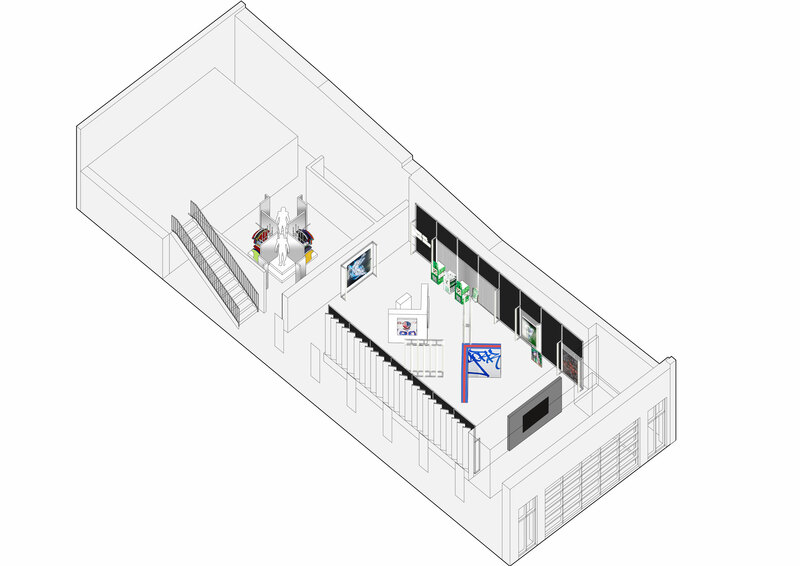 Working with metal frameworks and inset fluorescent lighting, we created a sequential and contemporary exhibition space. 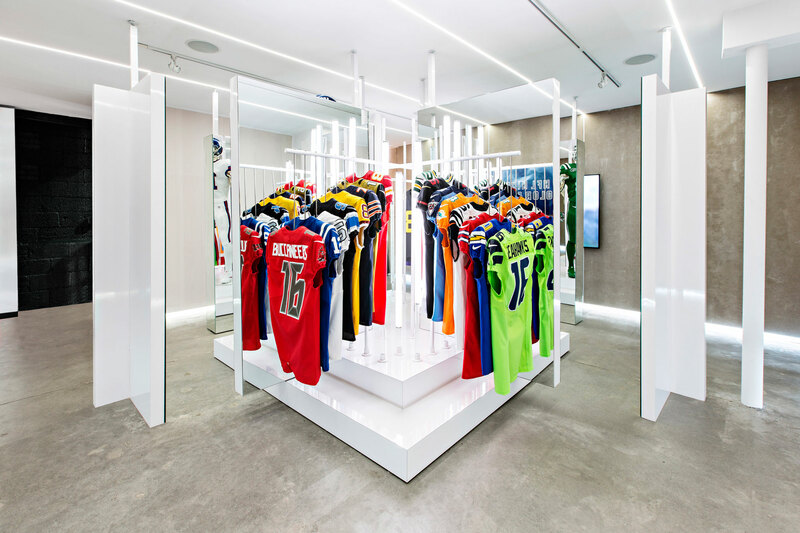 In addition to this we designed a screening room and a bespoke display for the 32 innovative NFL jerseys.